I have finally come to grips that I will not be a “mover and a shaker.” The world, alas, is not clamoring for my opinions, my advice, my counsel, my pontifications. The President and members of congress no longer call (man, could I give them an earful if they did!). It has been some time since some anchor person contacted me to get my take on foreign or domestic events and developments. Celebrities fail to call me for my thoughts on the directions their careers should take. No one sends me scripts for potential movies or plays anymore. Congress persists in passing bills without my input. Generally, I love the comedy of Jeff Foxworthy. This time I am both laughing and crying. I was a preacher for a long time and I know the pressures of the profession. When the congregation is not growing/happy/interested/involved/etc., the preacher is the first one blamed and, very often, sent packing. 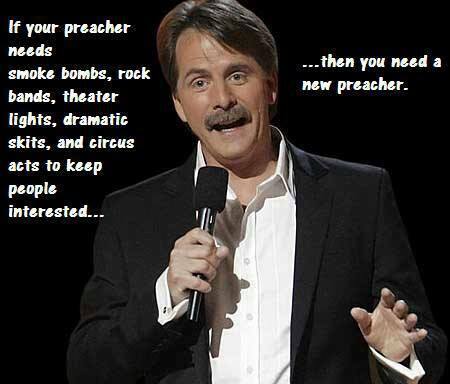 Maybe a new preacher will be more dynamic/younger/pretty/gregarious/educated/entertaining/etc. Sorry, Jeff, that’s not really his job. Most of this pressure is because we have become assembly-oriented. “Going to church” is the expected and almost exclusive activity of the majority. Because of this, it had better be well-orchestrated (maybe even have an orchestra). If “going to church” is not interesting/exciting/ entertaining, then attendees will drift to a more appealing (I almost wrote, “appalling”) venue. Consequently, all kinds of shenanigans are pulled to draw the crowds away from one congregation to another. It never seems to cross our minds that our purpose is not to have the biggest congregation, but simply to follow Christ with the strength and wisdom that God provides. It doesn’t seem to occur to us that assemblies are for edification and encouragement. If we restore assemblies to their scriptural purpose, we won’t need smoke bombs, rock bands and a new preacher to keep folks coming back. The light that we are commissioned to bring to all the world has nothing to do with electricity. It has everything to do with letting the light of Jesus shine through our words, actions and attitudes, bringing glory to God. Nowhere in the instructions of Jesus and the apostles is there even a hint of having preacher as a position, much less heaping upon him primary responsibility for the state of the congregation and the quality of the “worship service” (a term not found in Scripture). May God forgive me (us) for participating so long in something so foreign to Scripture and deviant to our purpose. Refuse to let public lies (false teachings) stand publically unopposed. When someone lies publically, someone needs to publically expose and oppose that lie and tell the truth no matter what it costs. That is part of our job as the called-out of Christ. Refuse to be lulled into the toleration and acceptance of immorality. Think about what we tolerate which would never have been accepted twenty years ago. If it was truly wrong then, it is truly wrong today. If it was ever a sin, it is a sin now. Ignore those who equate Christianity with established religious groups…no matter how ancient. Foolish and ignorant critics will blame Christ-followers for the excesses of those who, over the centuries, falsely labeled themselves “Christians.” True followers of Christ were never involved in the exploitation, suppression, torture and/or death of any person or group. Renounce materialism and greed. We must recognize the love of money and “stuff” for what it is – the source of evil. Christians must learn to be content with what is needed for life. Food, clothing, shelter, healthcare and transportation are all we need. The overflow needs to be shared. Combine good deeds with good news in holy symbiosis. One without the other will not accomplish our mission. Very few will be persuaded by a failure to combine these initiatives. This is what Jesus did…this is what we must do. Renounce citizenship of a country in favor of citizenship in God’s kingdom. Jesus’s kingdom is not of this world. Political parties and their candidates have serious flaws and faults; the Kingdom is perfect and flawless. We are not mere Americans, Germans, Poles, Russians, Australians, etc. We are citizens of a nation with no boundaries, no racial, linguistic barriers. Thy kingdom come! Get out of our meeting places and into the streets. Quit expecting people to come to us and do what Jesus did: go to the people. Do good deeds! Proclaim Christ! Quit “going to church.” Restore the true purpose of assemblies. Assemblies are a means to an end, not an end. 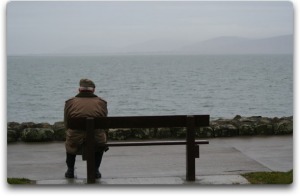 “Faithfulness” is far more than attendance. Assemblies are for edification and encouragement. If they fail in that regard, they are useless. Think and act as the counter-culture we were meant to be.